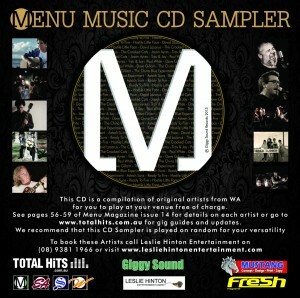 After the success of the first Menu Music compilation album, Giggy Sounds (Total Hits) and Menu Magazine once again teamed up to feature original artists from WA’s cafe and restaurant scene! We have featured 10 artists in Menu Magazine Issue 14 and on a CD sampler distributed to cafes, restaurants, bars, radio stations and record labels. If you think you have what it takes to be on the next Menu Music CD, let us know ! 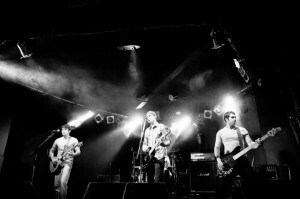 Aztech Suns are an all-original Hard Rock Band from Perth, Western Australia. 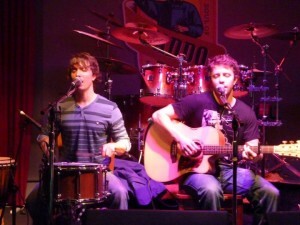 Starting in 2008, with high school friends Troy and Stewie on Rhythm and Drums, they were shortly joined by the Borona brothers, Kris on Bass and Nathan on Lead. 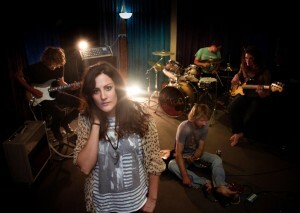 After blending styles together, they struggled to find the perfect lead vocalist to fill the space until Alex joined the band, moving from South Australia to do so, and completing the Aztech Suns sound in early 2009. After four years spent paying their dues in the Perth Pub scene, Aztech Suns have developed their stage show into a powerhouse performance, reminiscent of the good old days of Australian Rock ‘n Roll. Drawing influences and passion from the greatest songwriters and performers of our time, the boys blend their diverse tastes and enthusiastic approach into a unique style of onstage revelry and unforgettable energy, that cant help but have you head banging along. With regular shows at The Rosemount and The Rocket Room, a 2010 EP under their belt, an opening slot for the Kalgoorlie leg of Grinspoon’s 2010 national tour and winners of The Great Northern Distillery Rumfest 2012, Aztech Suns have wasted no time making themselves known about the local Rock scene and in the process have earned friends and opening credits for fellow Perth Hard Rockers Gasoline Inc, Stone Circle, Ragdoll, Diamond Eye, Pyramid of the Coyote and Kickstart. 2013 sees the band set to release a Debut Full Length Album, recorded and produced by the boys themselves in the wilds of the WA Wheat Belt – the release will have them setting their sights on touring locally and nationally. Fresh from the recording studio with their 2nd EP “INSOMNIA” The China Blue Experiment are ready to unleash their unique brand of Blues (with soul infused funk) on the world. Front man of The China Blue Experiment, Darren Forster, has captivating and bluesy vocals that set fire to an eclectic mix of songs, A One Movement Fringe review describes his act as ‘moody acoustic pop’ but his band prefers to venture towards funky blues rock. Forster’s song writing style takes the listener on an emotionally-charged yet up-lifting ride. Melodies and lyrics pour out of the musician who picked up a guitar at the age of 20 while looking for an emotional outlet, with the front man’s stage presence indicative of what’s to come for this passionate music-maker. What do you get if you combine Joe Cocker, Rob Thomas & Paul Rodgers, and sprinkle in some Old Fashioned Albert Collins? I don’t know either, but Boogie Blues Man Dave Gilliam’s got it going on! Lead Vocalist from Perth’s Premier Rockin Boogie Blues Band “ On The Level” Dave Is stepping forward from the band & getting intimate with the crowd for a while with some newer and fresher material! His performance opening the 2010 Perth Chilli Festival saw him booked for the 2012 & 2013 Festival and he’s starting to get busy on the festival circuit, so watch out for him playing at a venue near you soon! 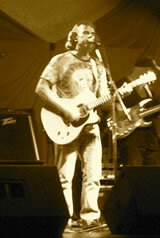 Dave and his band play regularly around Perth in venues such as The Perth Blues Club, The Indi Bar, Mojo’s and more. He was a headline act at the 2010 Botanic Blues and Roots Festival, as well as the Blues at Bridgetown Festival in 2006, 2008, 2011. He’s supported acts like Rick Steel, Mason Rack and Matt Taylor to name a few, and has established himself as one of WA’s top blues talents. 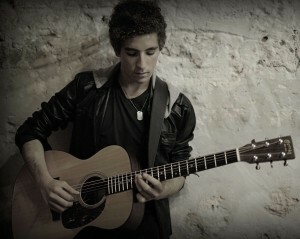 With his curly hair and warm, pure vocals, Perth based singer-songwriter, guitarist, actor and athlete David Lazarus is one of Australia’s exciting new artists. At the humble age of 19, and on the edge of completing his debut album, David’s acoustic based pop-rock tunes take one on a true journey, exploring the everyday joys of life, love and the simple pleasures we encounter. With roots in South Africa and brought up among five sisters, the teenager’s originality comes out through his maturity and simplicity. David’s music displays a wide variety of styles and influences, and contains elements of many musical genres. His solo, acoustic live shows have been known to captivate audiences, taking them on an honest journey into the teenager’s unique experiences, travels and open heart. Aside from regular gigs around Perth, David has been working nonstop on his upcoming Debut Album – he’s been back in South Africa working with Phumi Maduna’s African choir, recorded with the awesomely talented Veronica Bravo (you might recognise her from the The X-Factor) and recently had the Australian Youth Choir in the studio. Needless to say, the album is shaping up to be a cracker. Twelve tracks of finely tuned Alternative Rock bound to provoke feeling and thought for both existing fans and new comers alike. Following in the likes of Jimmy Eat World, Incubus, Death Cab for Cutie, Bodyjar and more, Hostile Little Face are fighting unrelentingly to have their music heard and are quickly growing a fan base of people who want to hear it. 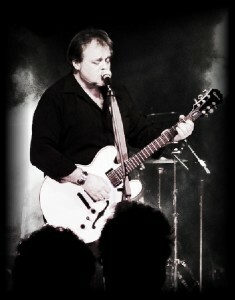 Hot off the smashing success of his ‘Chasing Ghosts’ Album, Jason Ayres is slowly but surely taking Perth by storm. 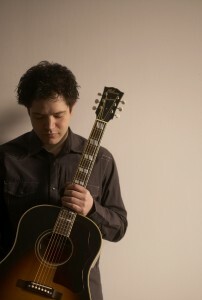 Influenced by the rhythmic pop of John Mayer, the vocal stylings of Jeff Buckley and the finesse of Coldplay, Jason Ayres is a West Australian based singer-songwriter who delivers a unique brand of acoustic based pop tunes. Having performed as a part of the One Movement Festival, which included artists like Kate-Miller Heidke, Sara Blasko, Dallas Frasca and more as well as indulged in live performance opportunities with ABC Radio and providing support for James Reyne and James Cruikshank , Jason has had the opportunity to explore his craft with an ever-increasing audience, all the while developing his own style and energy on stage. Jason is currently on a national tour around Australia, bringing his fresh brand of music and style to eager listeners on the East Coast. ‘Chasing Ghosts’ is available on iTunes, direct from his website and from independent record stores. For more information on Jason, please click here. Originally from Sydney, Paul started his musical career as a bass player playing the strong pub rock scene around Wollongong NSW from the late 70’s to early 80’s. Notable bands were SCAM, winners of the Battle of the Bands, ’78 and ’79 and finalists in Reg Grundy’s ‘Star Search’ on the Ten network. Later on PLAIN SAILING released “Crazy Feeling” written by Chris Murphy and “Don’t seem Right” written by Paul through Festival records and Cole Joye. Paul moved to W.A as a piano player and singer/song writer and played the lucrative piano bar scene present in Perth around the Americas Cup days of the mid ’80s. In 1989 Paul won first prize in the Rock/Pop section of the WARMIA song contest for his song “Crazy for You”, later to be released by Deb Shamin and Rob Wilson. The songs “Good Company” (country) and “I Don’t Wanna Know” went on to win the Grand prize of the WAMI competition in 1990. Paul’s first solo album “Good Company”, released later that year went on to win much critical acclaim and nominations for album of the year. In the mid 90’s Paul joined ‘The Sentimental Blokes’ as a piano player, specialising in the crooning jazz songs of the rat pack era. It was in this band that Paul met Craig Pinkney and Anthony Bridge with whom he formed Pink and White Bridge. 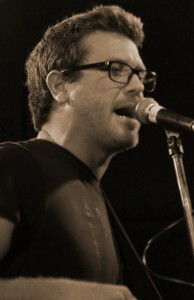 Paul released a second solo album “On the Detour” late in 2003, the title track of which won first prize in the 25th Australian National Songwriting Contest for folk. His original band Paul White and the Bait received much critical acclaim for a live recording of “Backdoor Refugee” listed on the album. At present Paul is again collaborating with Anthony and Craig to produce their third full length CD to be released late 2012. As with previous CDs, “Short or Tall Stories” and “Eden in Sight”, the quality of songwriting is of the highest standard. A mix of Punk, Rock and Pop. Perth-born band Ready To Fire combines fast paced drumming with high energy guitar and incredible singing to create the kind of tracks that you can listen to at any hour of the day. Formed through the Joondalup School of Music as ‘Salmonella Backflip’, members Donna O’Brien (Vocals/Guitar), Nathan Crabb (Lead Guitar), Aaron Bryans (Drums), and Chris Hollis (Bass) have been playing together for 3 years now. They’ve enjoyed plenty of pub gigs at places like the Boulevard Tavern and shared the stage with bands such as Xtortya and Insanitarium. They have just finished recording their first EP at Bergerk! Studios which is available through their Facebook page. 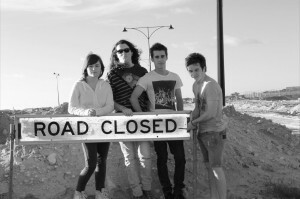 The Crooked Cats are an established band based in Fremantle W.A and consist of Loretta Devaney (Vocals), Eddie Schiel (Guitar), Max Jones (Bass) and James Coster(Drums). They play regularly at Mojo’s Bar, Ya Ya’s, The Indi Bar, Latitude 28 Geraldton, The Brighton Hotel Mandurah and less frequently at other venues around West Oz. 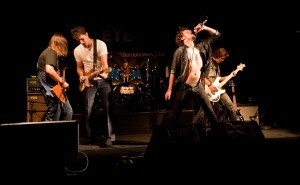 They are a Rock band that have been likened to The Red Hot Chilli Peppers, The Baby Animals, Janis Joplin, Led Zeppelin. The music is intricate but not over complicated, Mixing soulful bluesy rock with a hint of latin jazz, The Crooked Cats have been impressing audiences all over W.A. Twin brothers Travis and Jay Leggett have been surrounded by music from a very young age, performing professionally as a duo since the age of ten. Their style of song writing is based around thoughtful melodies and rich harmonies with similar sounding voices that blend perfectly together. As expected from twins, they have an incredibly strong writing chemistry, which is evident on their first EP ‘Change of Season’ released in January 2011. Change of season is available from iTunes.